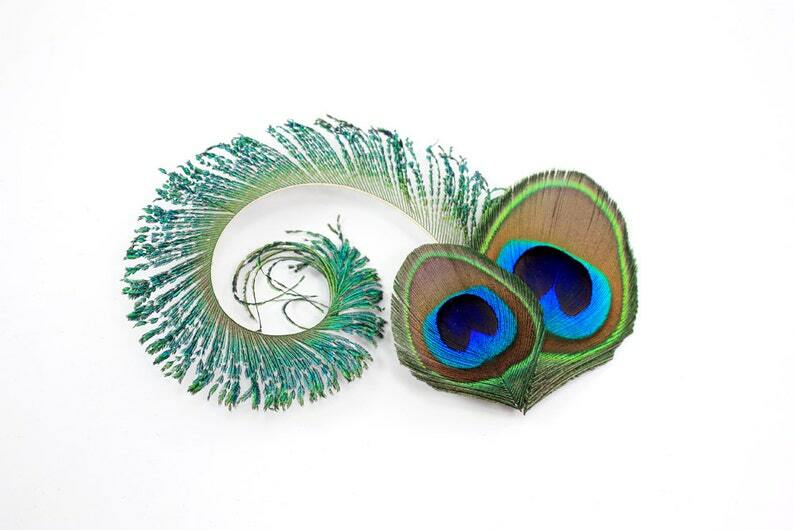 Elegant and fun hair accessory! Two peacock feathers in varying sizes joined by a hand curled peacock sword. Overall Dimensions: Approx. 5.5" x 3.5"